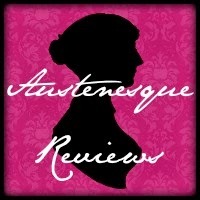 Babblings of a Bookworm : Austenesque Reviews Austenesque Admirer Series Giveaway Ends Tomorrow! Austenesque Reviews Austenesque Admirer Series Giveaway Ends Tomorrow! If you haven't already seen it, the lovely Meredith over at Austenesque Reviews has been running an ardent admirer series, with a focus on meeting the people who read the genre. I've really enjoyed getting to know better the other people who comment on posts on my favourite blogs. Last week, I was the one answering some questions, so if you haven't gone over to check out the post about me then please do! If you leave a comment you can enter for a giveaway for a £10 Austenesque book from The Book Depository, but you'll have to hurry, the closing date is tomorrow, Wednesday 27 August. The Book Depository ships to loads of countries throughout the world so hopefully pretty much everybody can enter.